EL SEGUNDO, Calif. â Aug. 28, 2013 â The first flight of an F/A-18 Advanced Super Hornet prototype featuring conformal fuel tanks (CFT) designed and built by Northrop Grumman Corporation (NYSE:NOC), took place earlier this month. The design and assembly of the tanks were completed in less than 10 months, ahead of schedule, due to rapid prototyping processes.The conformal fuel tanks and other new Advanced Super Hornet features allow flexibility for longer range and/or low-observable missions. "We invested in conformal fuel tank research and development so we could offer our domestic and international customers the most capable and sophisticated F/A-18 possible," said John Murnane, F/A-18 program manager, Northrop Grumman Aerospace Systems. 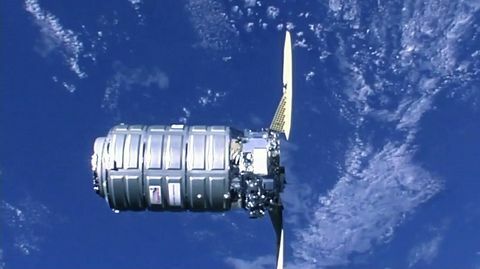 "Given the challenge of developing the CFT in a short period of time, the success of the first prototype flight is an incredible achievement for our team." Both the F/A-18 and its electronic attack variant, the EA-18G, will benefit from the conformal fuel tanks. The tanks, which are added to the upper fuselage of the aircraft, accommodate up to 3,500 pounds of additional fuel. For a typical strike mission, a Super Hornet or Growler with CFT can increase its unrefueled radius by up to 130 nautical miles or increase its station time by more than 30 minutes. For the EA-18G aircraft, the tanks also provide enhanced capabilities when operating from an aircraft carrier by reducing overall weight. CFTs are an example of practical modernization of a reliable, proven airframe. The tanks provide new capabilities to the warfighter and can be included on new aircraft or retrofitted to the 600-plus aircraft already operating worldwide. 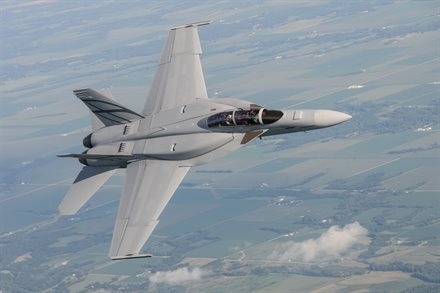 In addition to conformal fuel tanks, the prototype aircraft features an enclosed weapons pod designed and built by Boeing, the prime contractor for the F/A-18. Other key members of the F/A-18 industry team have also developed upgrades for the Advanced Super Hornet. The first flight of the Advanced Super Hornet prototype took place Aug. 5 in St. Louis as part of a demanding flight test demonstration program. Several flight tests have also taken place at Naval Air Station Patuxent River, Md. These flight tests will provide the F/A-18 industry team with valuable data on flying qualities, drag and signature levels. Northrop Grumman produces about 40 percent of the work content for F/A-18 and about 50 percent for the EA-18G. 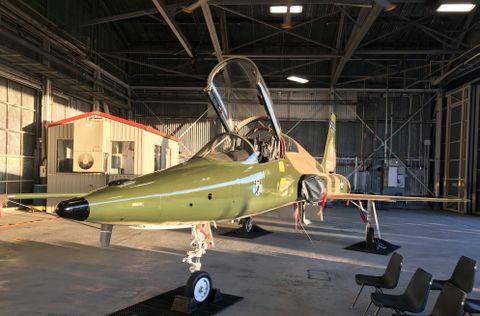 The company manufactures the center/aft fuselage and vertical tails for both aircraft, as well as the airborne electronic attack subsystem for the EA-18G.